British chemical company Ineos confirms it will sponsor Team Sky, effective May 1, 2019, ending uncertainty and speculation. 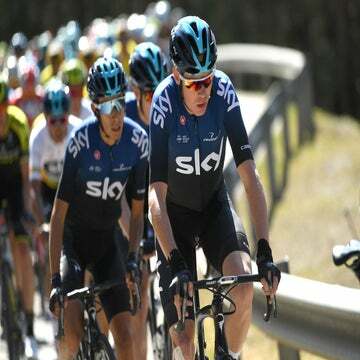 At the start of May, four-time Tour de France winner Chris Froome’s team will get a major facelift as Team Sky will become Team Ineos. The British WorldTour team confirmed Tuesday that its new sponsor will be the multinational chemicals company Ineos, which is based in London. At the end of 2018, news came down that Team Sky would lose its eponymous sponsor at the end of 2019. Team Sky’s principal David Brailsford set a June deadline for finding a new sponsor. After that point, his star riders were expected to look elsewhere for a job. In a statement, Brailsford said that Ineos’s decision to sponsor his team was a vote of confidence in his outfit, which has won all but one Tour de France since 2012. The new-look team will be presented May 2 at the Tour of Yorkshire.